I have found some strange strings in powdered ingredients in my kitchen. First time I noticed it in my instant coffee jar and I thought it maybe some kind of worm so I discarded the jar. 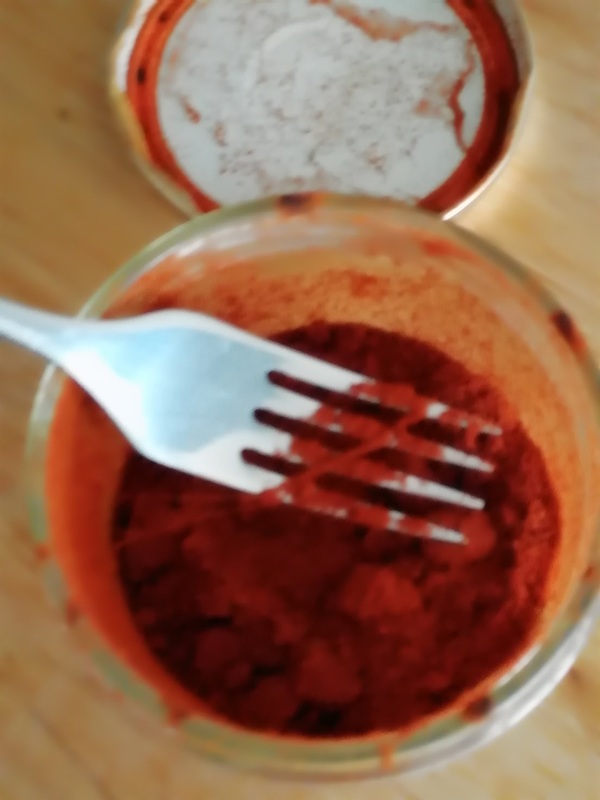 Today I was very surprised to find the same type of thin string in my very small paprika jar (powdered paprika). What can cause this? Am I right to assume its worms? What else could it be? How do I deal with a situation like that? I think you are right to figure it is some kind of insect. Little thin threads of cocoonish material in containers of stored food are a pretty clear sign. The strings make themselves noticeable by catching the dust particles from the food. Although it might seem strange to find insect activity in instant coffee, there are tons of different kinds of insects, each one with its own set of tastes. I have found little tiny crawly beige bugs in baking soda even, really. When this happens, you need to go through everything, discard every infestation you find, and completely re-do your pantry storage system. Lots of advice available on this site and elsewhere on how to rid yourself of these pests.E.g. : https://cooking.stackexchange.com/search?q=How+to+get+rid+of+weevils%3F , and many others. Even though your bugs may not match the exact insect species addressed (maybe they aren't really weevils for example), bugs are bugs, and you don't need a precise id to get some good advice on extermination. I would pull all your dry good items to the counter and wipe down your shelves to see if you see signs of insects (crawling & flying). Purge anything that is suspect, old are not used. Take that trash outside when done. Take close look at any bulk cereals, flour, imported dry goods, opened spices & herbs. Inspect the food items that are already open or are in cardboard with no sealed bag and put them into a sealed container (tupperware style or ziplock bags). Place these in the freezer for a couple of days to try and kill off anything you can't see. Look at using sealable containers for any bulk items - mason jars, ziplock bags, nifty storage containers, etc. You can find large plastic bins or buckets with airtight lids for bigger items like flour, rice, beans, etc. Not the answer you're looking for? Browse other questions tagged coffee storage paprika or ask your own question. When making french press coffee, what is the purpose of blooming the grounds? What does acidity mean in terms of coffee? How does it affect taste?